Its easy enough and the kiddo loved them. It was actually fun for her to eat. My husband loved them too. 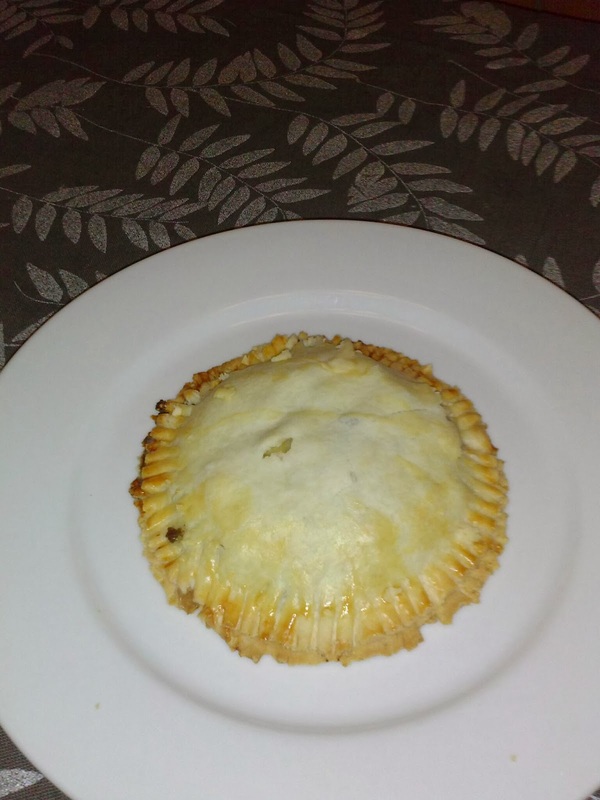 He thought it was kind of like eating a pot pie with shepherd's pie inside. Plus, the idea that these can be picked up and eaten made them go fast. Preheat the oven to 375°F. Line two (or three) baking sheets with parchment paper. Cook the ground beef and onions in a medium-size sauté pan over medium heat until the onions are translucent and the meat is no longer pink, about 5-8 minutes. Drain and set aside. While the beef is cooking, add the potatoes and carrots to a small saucepot. Cover the veggies with slightly salted water and boil until they’re cooked through, but not mushy, about 3–5 minutes. Drain and set aside. Add the beef, onions, carrots, potatoes, peas, corn, Worcestershire sauce, and gravy into a medium-size mixing bowl. Fold together and set aside. Whisk the egg and water together in a small bowl; set aside. On a lightly floured work surface, unroll one of the pie crusts. Using a 3-1/2″–4″ biscuit cutter, cut five rounds. Repeat with the remaining rolls of dough. On half of the rounds, place a generous Tbsp of filling in the center, leaving a 1/2″ border. Stack two quarters of the American cheese on top of the filling. Then, using a pastry brush, apply the egg wash on the border of the crust. Place an empty round on top and seal the edges together with a fork. Place the pies on the papered baking sheets and brush the tops with egg wash. Bake for 25 minutes, or until golden brown. This recipe went well. I think I will egg wash the whole top next time. Also I had no biscuit cutter so I used a large mug and cut around it.